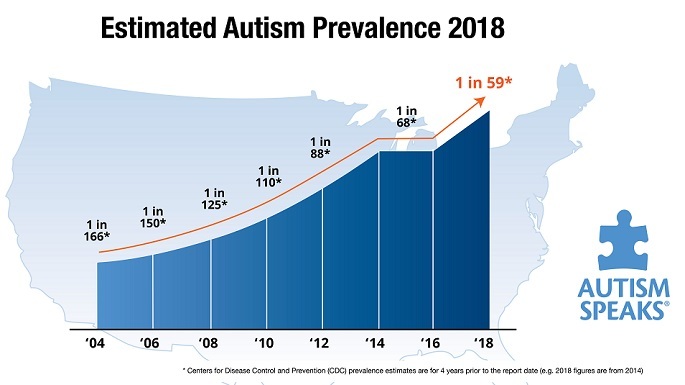 According to all available scientific evidence, state-of-the-art treatment for Autism Spectrum Disorder should include an appropriate medical workup, leading to treatment plans that include medical and conventional behavioral therapies. Parents strive to learn about a subject, speak with various medical professionals (sometimes even second and third opinions), and work with a trusted medical professional to “do the best for their kid.” We all want this, right? Pediatricians view the child as a whole – that means that the family, their resources, and their situation are part of any proposed treatment plan. By resources, I don’t only mean financial. One family might have 4 children with two parents and a housekeeper, while another is a single parent with an only child. And, everything in between. Time, money, treatments and personnel can only be divided so many ways. So, the advice given by an involved professional should include such consideration. I have several patients who have been offered “free” HBOT (various reasons) and my advice is to take the shot (I also have a bunch of other things that they need to do – but that’s another blog). Mixed results. One patient said that, after 20 conventional treatments, the most specific improvement in their young son was sleep (interestingly, this child cannot take melatonin). Adequate sleep leads to less morning fog leads to improvement in AM therapies – that’s good. One parent swears that his young son acquired remarkable improvements speech and language after HBOT. For this child, I haven’t formulated an opinion yet. Another parent of a moderately affected daughter says that G-I improvement and calming took place, and so she really seeks continued treatment. This unfortunate, beautiful child happens to be a “runner” and a “stripper”, so I can understand her treatment choice! Almost all of my experience with “mild HBOT” has come from patients who have tried it previously, usually not recalling much in the way of positive change. But, of course, if it were making their child better, they probably wouldn’t seek additional advice. Positive testimonials about HBOT (both kinds) abound on the Internet. Negative information – even QuackWatch remains neutral so far. This entry was posted on Sunday, January 23rd, 2011 at 6:35 pm	and is filed under >ALL<, HBOT for ASD. You can follow any responses to this entry through the RSS 2.0 feed. You can leave a response, or trackback from your own site. Never knew that it is like that. Live life and learn. This is certainly the best that I read today in the Internet. I like that blog outline. How was it finished? It’s pretty good! You should post this on other blogs too. Correctomundo! Free Motivation for 1 week on the National Motivation Network web site. I guess you most likely are right about Hyperbaric Oxygen Treatment Part IV theautismdoctor.com. brbr I am not sure if every person could look at the idea this way of course. Gary I’m so serious, this year it’s Green Baby baby!!! Hi there. This is Steffy Livings, pleased to meet you. I’m glad to get the information out. I hope. Hey Juliana! 1000’s of unexplained dead birds, ten times more dead fish, dead Egyptians and Tunisians… Got things right with God? I enjoy you because of every one of your hard work on this website. Betty enjoys doing internet research and it’s simple to grasp why. Almost all know all about the dynamic medium you make practical information by means of your blog and in addition boost participation from website visitors on that idea so our own simple princess is being taught a whole lot. Enjoy the rest of the year. You have been carrying out a fabulous job. That is the fitting weblog for anybody who desires to find out about this topic. You realize so much its nearly hard to argue with you (not that I really would need…HaHa). You positively put a new spin on a subject thats been written about for years. Nice stuff, simply great! Can I just say what a aid to find someone who really is aware of what theyre talking about on the internet. You positively know the best way to deliver a problem to gentle and make it important. More individuals must learn this and understand this facet of the story. I cant imagine youre not more well-liked because you undoubtedly have the gift. Very efficiently written information. It will be beneficial to anyone who employess it, including me. Keep doing what you are doing – looking forward to more posts. You made some respectable points there. I looked on the web for the difficulty and located most people will go along with along with your website. Thank you for another excellent article. Where else could anybody get that type of info in such an ideal way of writing? I have a presentation next week, and I’m on the look for such information. I see families with daunting challenges every day, so I have plenty to write about. Wonderful goods from you, man. I have understand your stuff previous to and you are just too fantastic. I really like what you have acquired here, certainly like what you’re stating and the way in which you say it. You make it enjoyable and you still take care of to keep it sensible. I cant wait to read much more from you. This is actually a wonderful site. Sure, please give me a link if possible. I have been writing for years, but only started this blog in the past month. I have a lot to say and this is a great way for me to get this stuff off my chest. Thanks. The only problem that I thought was that the pix weren’t showing up in win7, No? I procrastinate alot and in no way appear to get something done. I needed to put you this very little observation to give many thanks again about the great tips you’ve documented in this article. This has been wonderfully open-handed with you to deliver extensively what a lot of people would have distributed for an e-book to help with making some profit for themselves, most notably now that you might have done it if you considered necessary. Those good tips additionally worked to provide a good way to understand that other individuals have a similar interest just as my very own to see whole lot more when it comes to this problem. I believe there are millions of more pleasurable periods up front for those who examine your blog. Great goods from you, man. I’ve understand your stuff previous to and you’re just too excellent. I actually like what you’ve acquired here, really like what you’re stating and the way in which you say it. You make it entertaining and you still take care of to keep it smart. I cant wait to read much more from you. This is actually a great website. Nice post. I learn one thing tougher on totally different blogs everyday. It’s going to at all times be stimulating to read content from other writers and observe slightly one thing from their store. I’d favor to make use of some with the content on my blog whether or not you don’t mind. Natually I’ll offer you a hyperlink on your internet blog. Thanks for sharing. Sure, thanks, and thanks for asking.